This century interest in marine life increased dramatically. 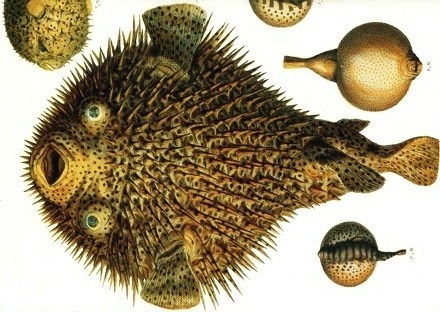 Fish were still objects of study but an increasing number of marine species got the attention. 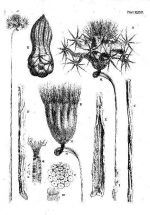 Many studies were carried out on "sea-plants (hydroids) to find out the nature of marine life: Where these 'zoophytes' plants, plant-animals or true animals? 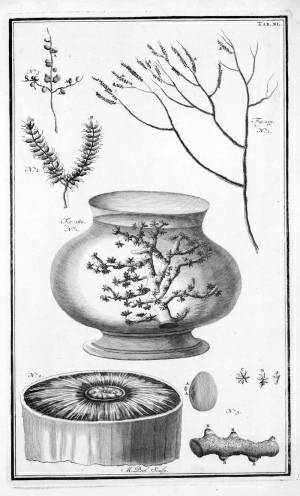 In 1758 Linnaeus published the 10-th issue of Systema Naturae, the official start of the systematic classification of organisms. Italian count, soldier and naturalist who was interested in a wide range of natural phenomena. Called the 'father of oceanography'. Sailed with fishermen off Marseille to study marine life. 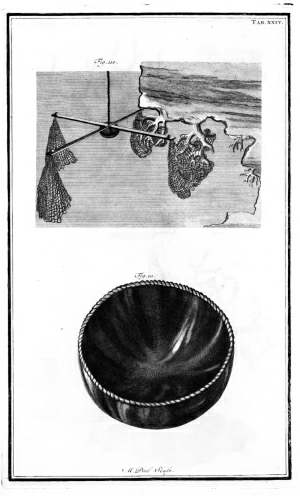 The first modern treatise on oceanography. 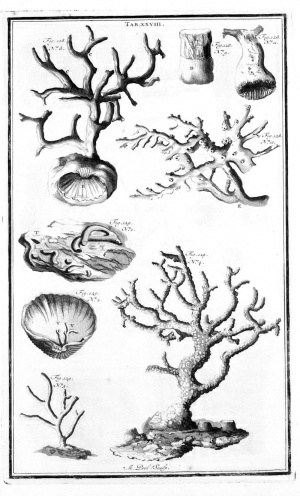 In this book, Marsigli treated the morphology of the basin near the Provence, the water's properties and its motion and the biology of the sea. 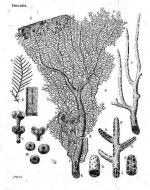 His study on "Corails" is important because he opened the discussion on the nature of (red) coral, which he describes as plants with flowers. Later his work was repeated by Jean-André Peyssonnel who found out they belonged to the animal kingdom. Albertus Seba, a wealthy Dutchman, formed what was perhaps the richest museum of his time. He sold his first 'wonder cabinet' to the Russian czar Peter the Great, including 1,000 European insects and 400 animal specimens. Afterwards Seba started a second even larger collection. Description of Seba´s second collection. Containts terrestial animals and plants as well as marine invertebrates (part III) and fish. Linneaeus cited Seba´s Thesaurus 284 times in his Systema Naturae 10 but was unimpressed by its taxonomy. Plates in: Müsch, Willmann en Rust, Irmgard. 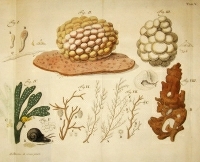 Cabinet of Natural Curiosities: The Complete Plates in Colour, 1734-1765. Taschen Verlag, 543 p., 472 illustrations. ISBN-10: 3822847941 / ISBN-13: 978-3822847947. Called the 'Father of Ichthyology' by some. He was engaged to describe the collection of Albertus Seba and started of with his speciality: fish. He accidentally fell in a Amsterdam canal and drowned. In his memoires Linnaeus confessed that his Systema Naturae was greatly build on Artedi's ideas. After the dead of Artedi Linnaeus published his manuscripts on fish: Bibliotheca Ichthyologica and Philosophia Ichthyologica together with a description of Artedi's life. 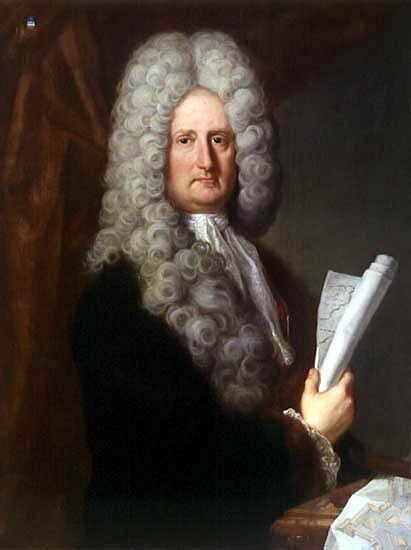 Merchant in linen in London and expert on corals, hydroids and plants who was a very influential member of the Royal Society. Ellis was appointed Royal Agent for West Florida in 1764 and for Dominica in 1770. 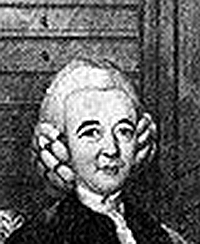 Imported many seeds and plants into England from America, and had a intense correspondence with Carolus Linnaeus. 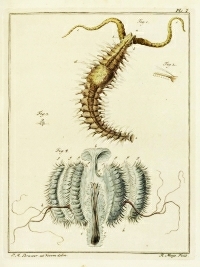 Sophisticated description of mainly hydroids with a classification used by Linnaeus in his Systema Naturae 10. Fallours was a soldier later employed as artist by the Dutch East Indies Company. His superiors recognized his talents and payed him to deliver pictures of marine life. Lamotius was a governor of Mauritius who studied and depicted marine life around the island. 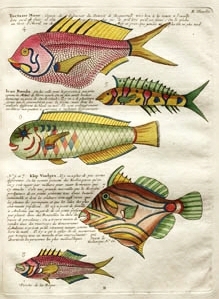 Both men produced hundreds of pictures of fishes from the Indian and Pacific oceans hitherto unknown to Western world. 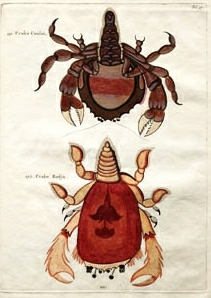 Fallours produced hundreds of collored drawings of crustaceans and fishes near Ambon. 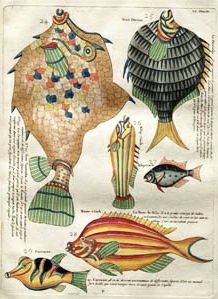 Lamotius drew 251 collored figures of marine animals at Mauritius. Fallours pictures and specially their coloration are not very accurate. Even so only less then 10% could not be identified (Pietsch, 1995). Lamotius drawings are superior but where much less noted by his contemporaries. 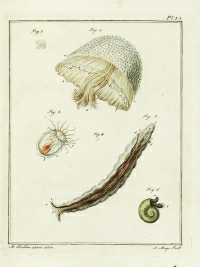 Their plates where published in four different books by Ruysch (1718), Valentijn (1726) and Prevost (1727). Texts in the books lack the quality of Rumphius. Hendrick Ruysch. Theatrum universale omnium animalium Vol 1 - Collectio nova piscium Amboinensium. 1718. Volume III contains a religious history of Amboina and an extensive description of the flora and fauna on Amboina and the seas near the isles of Amboina. 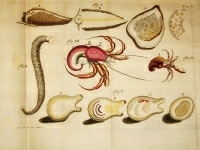 Pages 336 to 579 contain descriptions and figures of 532 fishes, crustaceans and many molluscs. The sixty-two plates that illustrate the Verhandeling der ongemeene visschen van Amboina in this book are probably made by Samuel Fallours. Te most famous book. 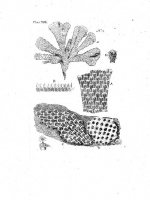 Renards edited this book about coral reef fishes and crustaceans of Ambon in the the Mollucas. Added here for the beauty of the illustrations made by Samuel Fallours and the Dutch names he gave to the species. Antoine François Prevost. Histoire generale des voyages, ou Nouvelle Collection de toutes les relations de voyages par mer et par terre. 1727. Pietsch, W., 1975. Fishes, Crayfishes, and Crabs. 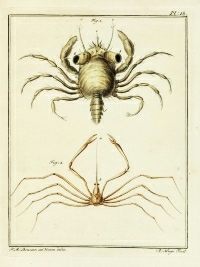 Louis Renard's Natural History of the Rarest Curiosities of the Seas of the Indies. Baltimore & London, The Johns Hopkins University Press: 1995. 2 volumes. 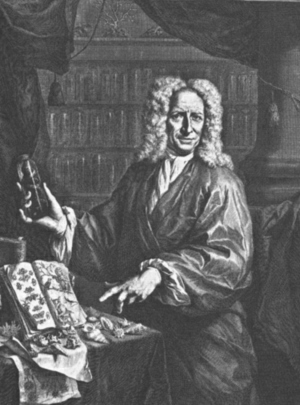 Dutch naturalist who collected many zoological and botanical specimens. He is especially known for his work in ichthyology and credited with developing a technique for preservation of fish skins. Expanding the collection of his father he had a catalogued collection of over 500 fish skins. 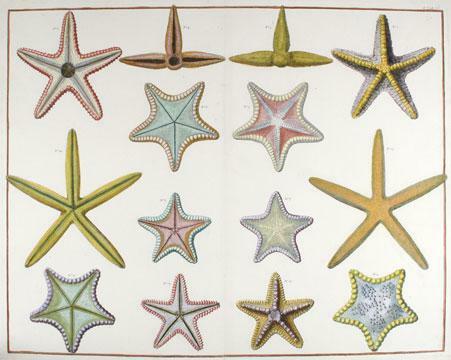 In 1853 187 of these skins and the catalogue popped up in an auction in London and were bought by J. E. Gray, keeper of the Zoology depatment of the British Museum (Natural History Museum). Two books in which 200 species of fish are described. This non-binominal work is frequently referred to by Linnaeus in Systema Naturae 10 - 13. Classification and description of "four-feets" and fish (book 1), insects (book 2) and invertebrates (book 3). 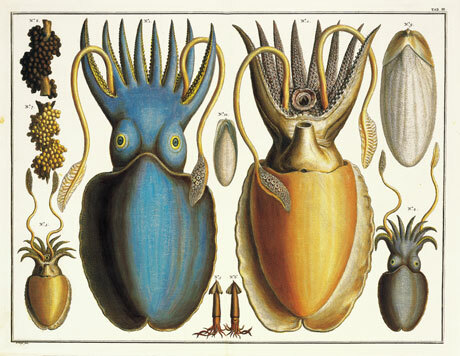 Known for the great number of molluscs. This The bookm was reissued in 1784 with a binominal index according Linnaeus, the index is refered to as Meusschers index. 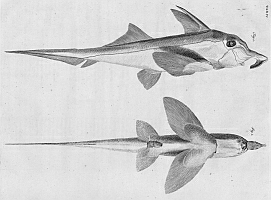 Gray, J. E. Catalogue of fish collected and described by Laurence Theodor Gronow. 1854. Wheeler, C.A. The Gronovius fish collection: a catalogue and historical account. 1958. Dutch physician, collected and described marine organisms and had a active correspondence with international scientists about actual biological matters. A lively description of marine species in the coastal waters near his home in the south of the Netherlands. Started his work to join the discussion about the nature of 'zoophytes'. Collected organisms for just one year and finished his manuscript a year later. Book known for its beautiful illustrations. 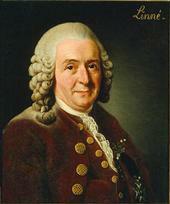 Linnaeus from Sweden, the famous founder of modern classification of organisms. 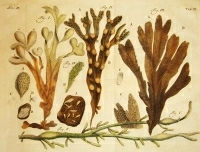 Marine invertebrates all classified under Zoophyta which Linnaeus considered as plant-animals. This book forms the official start of modern taxonomy. Whales are moved from fishes to mammals. Incorporated work of Artedi and Ellis. Improved and extended version of Systema Naturae.